Adds 6 new tabs to the Auction House window. 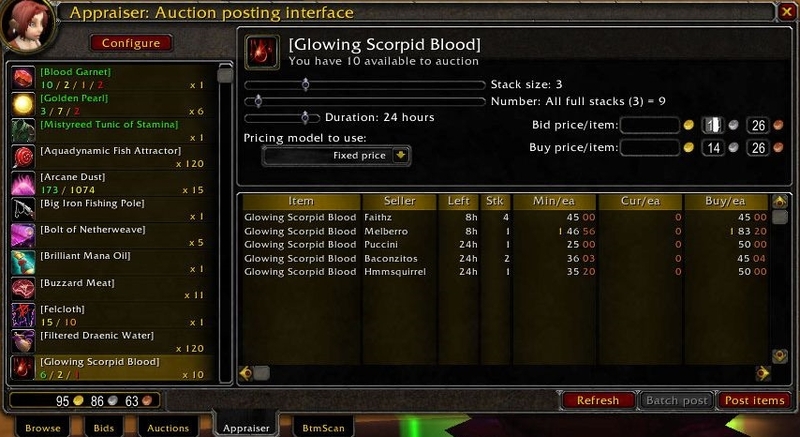 Sell multiple stacks gain historical Auction data See Average Mean Prices Tooltip data on items for Auction prices and what they will Disenchant into. I cant get this addon to work. I am on fenrys.